The GAIAI newsletter is released February, May, August, and November each year. View the archives. 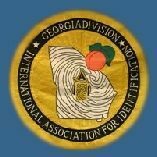 The GAIAI is made up of forensic professionals across the great state of Georgia. The association strives to help its membership keep up to date with the latest in the exciting field of forensic science identification.